Today should be my husbands first Father's Day with Bristol. Instead we will be spending it alone, wishing that she could be here with us today. I bought DH a hand made care from the UK (I was unable to locate a Fathers Day Card that said, Happy Father's Day from Heaven here in the US, remind me to contact Mr. Hallmark himself and have a word with him) that I will be giving him today. 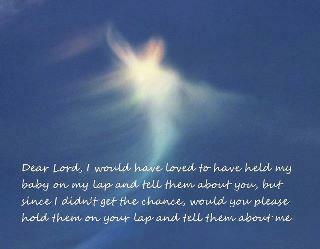 I wish I had more to give him, but a card and the prayer below are all I have......I love you my sweets. And Happy Father's Day to the most wonderful man in the entire world. I am sure that Bristol is sending you love from Heaven today!!! And am feeling like I have lost my way. I am not invincible…I am not superman. And could use a friendly helping hand. But I cannot fix the clock of time. Please God, can you help me wind it up again? Even one baby step at a time…would be okay. As the meaning of life they do seek. And understanding friends to turn to. And people to realize…our grief just doesn't disappear. From sunrise to sunset…for our whole lifetime. And especially today… on this Father's Day.